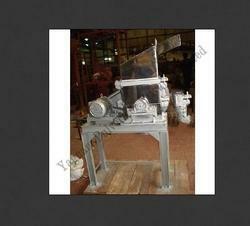 Our product range includes a wide range of chilly cleaning machine and chopping machine. Chilly Cleaning Machine offered finds extensive use for meeting the effective cleaning needs of whole chilly by removing dust, stones and other loose chilly parts like stems though aspiration system. This process effectively segregated sticks, leaves and fine dust and provides for desired grading to the chilly. 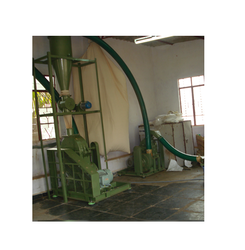 The equipment finds extensive use by spice oil companies among others. Further, our expertise also lies in making the equipment available in different operating specifications so as to successfully meet diverse process requirements of the clients. Chopping Machine offered has even slice thickness and comes with superior cutting tool support for achieving smooth and consistent chopping action. Further, the system comes with easier and convenient product feeding choice. Some of the advantages of the system include providing for reliable performance, meeting hygienic operation standards through the use of food grade stainless steel for all parts coming in contact, a system designed and developed as per the defined safety regulations including the presence of safety switches and others.